The Responsys Interact Marketing Cloud helps brands manage their digital relationships and deliver the right marketing to their customers across email, mobile, social, display & the web. "The only true automated B2C platform on the market"
The fact that as a marketer, I have the ability to create 3 different types of databases to hold customer info and I have full access to that data at any time is invaluable. "Set Data" and "Get Data" are very underutilized features of this tool where marketers can update any of those databases automatically based on consumer actions. Salesforce, YesMail, and other platforms either don't give access to databases to the marketing team, or they don't have any databases. This causes marketing teams to be dependent upon a Business Intelligence team to build lists, etc. and most of your time is spent putting together campaigns instead of automating and analyzing. The most important key to this platform and making it successful is getting data into the system, and in what database you place it in. Make sure you pay attention to the functionality of all three databases and you're mapping data accordingly. This will make or break the product. There are quirks to this platform, as would be expected of any enterprise solution. RPL is a language that can be used to program emails. However, Responsys doesn't tell you that RPL cannot be used in Forms to submit data until you reach out to Support and they give you the programming language you'll need. Why an issue like this exists is unexplainable and can be very frustrating when building. Also, the training for this product is very underwhelming. You can go to a 3rd party like Shaw + Scott, and it won't make any difference. This is the main reason the product is so misunderstood. This platform is ONLY to be used by companies who are marketing-centric. Sadly, most places I consult allow the Business Intelligence team to control marketing. For those companies, Salesforce makes more sense. That is a batch-and-blast system that makes sense in the business intelligence driven world. However, if you're a company that is dedicated to marketing, who has a person/team dedicated to email who is self-motivated, this is the only platform to use. Your learning curve for content that resonates with your clients, etc. will be so much shorter and more aggressive in Responsys than any platform out there because you'll spend much more time analyzing and much less time building. You'll have to retrain your mind to work in a situation-centric mind frame instead of an individual driven marketing world (building lists). This is the most mis-understood ESP on the market and sadly most clients don't even come close to utilizing the system because they haven't been shown why it is so powerful. The benefits are countless. I work at Accenture and have helped many clients in multiple verticals optimize this product. They have abandoned cart, confirmation email, SMS, MMS, display, and other automated functions that can be utilized. Sadly, most people don't understand the power of this tool. I've been using it since 2011 and it takes time, practice, and a change in perspective for most people and how they go about doing email. If you embrace the power of the tool and dedicate a marketing person to this platform, the possibilities are endless. "Strong Email Platform with Advanced Features; Beware of Learning Curve"
Responsys by Oracle is a great tool for enterprise email marketing. It is easy to create a large number of segments from your customer base, based on any number of attributes. There are myriad options in terms of creating emails from templates or uploading custom designs. Responsys is also a great reporting platform, allowing you to get all the info you need about how your email campaigns are performing. Responsys is not necessarily the easiest software to use. After working with MailChimp at a previous job, it definitely took a lot longer to get used to the interface and features of Responsys. However, this is likely the case with any piece of powerful software. We are working with clients who use Oracle Responsys to manage their email marketing campaigns, and we help those clients with their email performance reporting. Be VERY sure that you need to have the "Cadillac" of ESPs before you sign on with Responsys. My company decided they DID need this (before I joined the company) and then they did not have the staff to support all of its capabilities, so much of their investment was wasted. It is also not at all easy to use or intuitive, so be prepared for a LOT of hand holding. "It is a question of WHETHER YOU WANT a Ferrari OR YOU NEED the Ferrari"
Responsys is the Ferrari of ESPs. As with other reviewers, Responsys is an extremely robust tool. From security to customisation, if you are well resourced (both in monetary and human resource). You have to ask yourself, do I need an enterprise solution? Or, do I just need to do the basics? Yes the below is subjective as I represent a small business. Ready through the following 10 tips to evaluate whether Responsys is worth putting into your consideration set. 1. Responsys is priced as an enterprise solution. I've never seen such a high CPM cost for sending <20M emails p.a. in my career? Why? They cost their services as a 'blended CPM'. Vs just a CPM for email sends. 2. You will need developers to use the product. Don't bother considering Responsys unless you have a robust front/back-end development team. If you don't, you'll have Responsys users getting very frustrated by a product far too advanced for the average marketer. 3. It is a min. requirement you know SQL to be an user of this product. Have a junior marketer who needs to use Responsys? Get them trained on SQL as it'll really help. 4. Training is too broad and expensive. In-person or online, their training skims over how to use their features vs. going deeper into common challenges marketers face. Real missed opportunities here by their training teams. 5. All post-integrations will cost money. Best you allocate at least another 10-15% on-top of the annual fee as you need to have budget reserved to further optimise Responsys to your needs. 6. Unless you pay, you'll get basic, reactive account management included. Smaller clients will get an account manager who manages at least 6 clients = can be a challenge to get a hold of them at short notice. 7. Need quick technical support? You'll have to' raise a ticket for that. If you need a quick answer for a question, Oracle support typically wont be able to help on the spot. This can quickly amplify your frustration if you just need somebody to guide you through usability challenge within the platform. 8. The interface is not for dummies. It is clunky to use at times. It take quite a long time to send a campaign if you do not use the campaign on a daily basis. I like to think of ESP programs to be easy as learning Google Analytics. A day or two and you can generally find your way. Not here. You really need to be trained up to use the interface. 9. Not a turn-key ESP. Everything has to be customised from scratch with Responsys which is frustrating. It is similar to Airbus creating the A380 aeroplane. They manufacture the plan but it is up to the airline to customise it. 10. Basic campaign insight for an enterprise solution. The architecture is the USP here, not the insight tools. If you need an ESP that provides a mini-BI tool, you will not get this from Responsys Insights (the name for their reporting tool). It only provides basic email behaviour reporting. If you can support an enterprise ESP, consider Responsys. I.e. you need 3-5 staff to get Responsys up and running otherwise you'll haemorrhage cash like a slot machine. A combination of developers, a mid-level marketer and manager to lay down the strategic objectives to Responsys will yield the best ROI. When you look at the 'Marketing Automation features' section of this review, note all is possible 'if you pay to integrate it'. Typically, unless you can integrate INTO Responsys, you cannot access/use it. Trying to create a meaningful dialogue with the customer through the email medium. With the romantic view of 'doing the basics well', the Responsys platform has forced us to really understand the customer journey and how email plays a part in conversion. Their platform is very robust with many fail safes should the user miss particular detail. For example, when creating an automated email program, the canvas tool is very robust highlighting potential errors and warnings e.g. customers who could receive more than 5 emails per week. sending email, push and sms communications to our customers. We have triggered, transaction and ad-hoc sends that we need to have reach customers on a reliable and consistent basis. "Responsys is the best email marketing platform"
What I like the best is that I can send millions of emails within minutes, everything is reliable and works great. The filters, the HTMLs, the SQL etc. What I dislike is the fact that I cant send a proof for specific users. Sometimes I want to double check how a specific user would see my email but unfortunately I am not able to do that. I use to send email marketing campaigns everyday. I like how robust the system is to be able to identify our audience needs, as well as the new campaign message platform. The difficulty in finding images within the hosted content (folders would be ideal). Also, the lack of support from Oracle Support and having to message solely through that platform. Maybe could use ZenDesk and allow your users to have those conversations via email? I also wish the support team would be a bit more supportive - I end up solving most issues myself rather than wasting time explaining my situation in various ways. Onboarding audiences, delivering optimal messaging based on user attributes, etc. "Extremely Powerful, But With Very High Learning Curve"
Responsys was able to do absolutely everything we wanted it to do. It seemed to flawlessly integrate with every third-party app on the market. Their Program feature was very powerful and intuitive to use. Their best feature, however, was the relationship they had with us. Our account rep was practically like a member of the team. We spoke multiple times per week for over 5 years while I was at the company and he visited us on-site several times per year. Their proprietary programming language (RPL) was extremely difficult to learn for someone with a marketing background. I spent hours upon hours attempting to code things like the order and ship confirmation emails, basically relying on trial and error and countless tests. Once I finally seemed to get the hang of things after a few years, they up and changed to a new programming language that required all emails to eventually be re-coded. The learning curve for getting the most out of Responsys is unbelievably high. Their reporting was a little clunky and had a serious lag time. Many times a query needed to be manually written, requiring the knowledge of MySQL. After writing a query and saving and testing, the query would lose all formatting and spacing. Lists imports were time-consuming and unintuitive. Using Responsys is a full-time job; it requires a very smart, dedicated individual with a background in web development to get the most out of the very powerful platform. We needed to re-market to customers based on their past browsing and purchase behavior, and third-party integrations into Responsys accomplished those tasks easily. The same could be said for abandoned cart and browsing programs. Good product, I feel like our data and information is very secure through Responsys. This vendor is great for a bigger company that has at least 1-2 dedicated email specialists working in it. It is one of the top email service providers. Make sure you have the time and effort to dedicate to implementing Responsys and setting it up properly. Also, make sure you have at least 1 dedicated email specialist to work in Responsys - not a good choice if you are not planning on having someone be a dedicated Responsys user. This is our email service provider. We use it to send promotional emails, transactional emails and follow up emails. We do not use there services for abandon cart or search abandon as it is way too difficult to set that up and manage with a small team. A lot of the platform isn't intuitive. There are weird errors that happen: such as not being able to preview an email if you have an additional space. Or, requiring two columns for email address when uploading a PET table. Encouraging users to be more active on our platform and engage. We have found personalization and automation as a key benefit. The ability to develop custom data driven emails was very powerful. The solution allowed us to create thousands of unique emails sent multiple times per week to over 2M email list members. Also, the behavioral reporting, A/B testing, and custom fields provided a platform for optimizing each send. I haven't used the product in a few years but at the time was very disappointed in the lack of interfaces for this solution. Not being able to integrate with a CRM solution, including the Oracle Marketing CRM solutions, was a serious detraction. Additionally, the REST API did not use standard authentication. So developing an interface in Zapier or other connection tools was impossible. Check the interfaces before buying. Just calling it Enterprise doesn't make it so. Custom email delivery to over 2M members. "Great service and all around helpful product"
Our Customer Success Managers have always been great, and that makes a difference when spending a large amount of money on a technology we use everyday. The tool itself is fairly straightforward and easy to use, and offers opportunity to send dynamic content to customers, which is a bonus. Training materials/"Help" documentation online is a bit confusing and not always easy to locate what you need. I usually have to open a support ticket for most problems and then have them help me find things that way. We use Responsys for all of our email needs and it has been a great product for us. The suite is very robust, and always at least a step ahead of what I am trying to accomplish. The platform is very flexible in handling any data source needed for segmentation. It is easy to create different testing scenarios, automated programs, dynamic content, reusable segments and more and also have real-time reporting around campaigns. Customer support and my customer success manager have also been very key to helping to accomplish campaign goals. I have used several enterprise level email solutions, and none compare to the support and response that I receive from Responsys. With any tool there is a learning curve. Responsys is very robust, and I feel there is functionality that I am not using today. This does give me room to grow with the suite, instead of outgrowing it. Update: Since the acquisition by Oracle support has changed. I used to be able to get someone on the phone immediately to assist with any problems, now there is a ticketing system and delay in response. I would recommend that you consider where you would like your programs to be in the future, and make sure that whatever platform you choose will be able to support those goals + provide the personnel to help push you there. The main problem Responsys has helped me solve, is getting closer to the 1-1 relationship with customers, by allowing us to continue to grow the automation strategy, implement dynamic content, and segment smarter. The reporting is a pivot table, which is great as an analyst but my boss or anyone without those skills would have a hard time with the reports..
Reports could be difficult to use. Very technical in it's layout-- not for the "easy-to-use marketer"
We had trouble with the implementation, along with training. The help guide isn't very helpful, and the customer portal for web tickets isn't great. If you haven't been taught how to use the tool it 's very difficult to use. Not intuitive. Automatically suppresses prefixes. I'm not sure if anyone was told that in the implementation process, but we have many customers that have info@ and sales@ as their prefixes and we've lost $$ because it was automatically suppresses. Have had issues with our cart abandonment email series, and as I said before the customer care is not the most helpful. You cannot send multiple lists 1 email. You have to create multiple emails per list. It really depends on who will be using this product, as I mentioned before a analytical/technical mind would do best as it's not intuitive. Sending email blast, triggered emails, etc. The platform is easy to use and promote. It also has the flexibility to support advanced solutions. The assumption that every marketer is at the orchestration level to work with the advance product features and integrations. Develop more white papers and case studies and make the Top Liners community more robust. I'm a consultant so all. The platform has easy concepts to teach to clients and improve their experience. The interface is pretty simple, even if lacking in aesthetics, making this a really short ramp for newcomers. Everything is exactly where it should be, making navigation simple and straightforward. The pricing is too high for what you receive "out of the box". You get a lot more value with Salesforce marketing cloud. Also, Responsys falls short when it comes to integrating the product with other services. There is a lot of downtime, so expect the tool to be unavailable at least a couple times per month. Downtime is inconvenient because the platform has no way of correcting delivery time for those messages delayed from downtime - all your subsequent messaging will also be delayed. The self-service model comes with lackluster support and you may have to wait several days, if not weeks, for a response to your tickets. If you are looking for something with all the bells and whistles, then this is not your product. They will nickel and dime you for every added feature, and it will take months to get those features up and running because of a lackluster customer service model that really pushes you towards full-service. Email marketing is all about getting the right message to the right person at the right time. Responsys can help you do this with appropriate triggers and automations. The data model is fairly flat which makes adding new tables a breeze, but sometimes that data lives a bit out of your reach (when using hourly files as a trigger event). "Easiest ESP to use to date. " It is simple to navigate and set-up campaigns. The format is easy to use of knowing which steps are next to complete when sending an email. Testing is just as simple, and in-system editing is much easier as you don't see nearly as many product codes as you do when using competitors. There are no back actions. If you wanted to go back into the last view you were in, you have to back fully out and then navigate back into the folder and the campaign. I wish there was an easier way to do that navigation. We use Responsys for email, SMS, and Push. This is a great tool to be able to do these cross platform actions. We find Reponsys to be much more user friendly than some of the competitors. There are so many great ways to set up programs and tie emails together with SMS that we find very valuable. Support can be lacking. I feel as though they use a canned list of responses and don't actually take into account what the customer has decribed in the ticket. We also manage 13 brands and having to log in and out of Responsys is a huge pain and waste of time. Lifecyle journeys - and we are working towards more relevant content to the right person. "Strong capabilities but hard to use"
My company does not have best in class data management. Therefore we rely heavily on our ESP for audience segmentation and message personalization. Responsys table structure with extension tables works well for us because different product teams can create tables for specific use cases versus having to update our main database table structure. The Program Tool enables messaging sequencing well. The reporting is also detailed and easy to manipulate. The platform is not easy to use and requires more skill in the users such as HTML, segmentation logic, and SQL. This product will serve you well if you plan to use Enterprise Oracle products and if you have a strong team to use and manage the platform. Responsys also has very strong segmentation capabilities (and fast deployment times. If you are planning to integrate real-time activities via third party APIs you may also want to look at platforms that plug in to other systems. If you are self-service plan to have significant budget available for support, training and projects. If you don't have the ability to hire strong candidates it may be more worthwhile to hire responsys for email set up and deployment. We are able to manage the reach and suppressions for our advertiser driven campaigns. We have also successfully built lifecycle campaigns to deploy a series of emails based on use interactions. "The Ferrari of Automated Campaigns"
Responsys is a really complete platform in terms of technology and integration. The best functionality regarding the power of customization and automating is the connect jobs that allows the client to input data in the platform ecosystem. Many of the features are not default, so we have to either buy or ask Oracle to unlock them in the platform. "Responsys is a very robust tool but requires technical integration and upkeep." The targeting capabilities are amazing and the program builder makes it easy to build out full programs in a very intuitive ui. I don't like that Oracle doesn't provide in depth training and that it costs thousands of dollars to attend a training. We are able to target our customers within our file by different attributes which have resulted in increased engagement metrics as well as increase in traffic to the site, which then brings in incremental revenue. Focused product, with most weight to use in B2C Easy to use, but customized setup within the various customers will create transition problems. Not so much a dislike, but there are more user friendly tools. Another point is the certification of experts: there is really no understandable reason to do this every year than money, which start to become a major issue in cost, while competitors offer free refresh courses with certifications which are of longer duration. 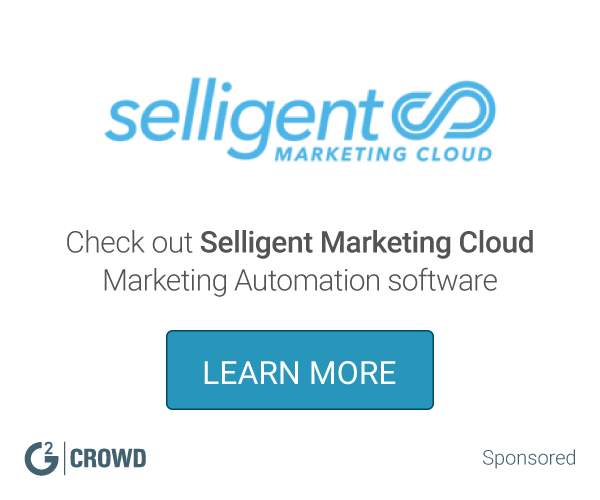 Making sensible marketing automation possible. Reaching potential customers with relevant information. Engaging customers after events. Difficult to learn. It's not an easy product you can teach yourself. Need training. What I like most utilizing Responsys is the RPL capabilities. Though so much to still learn I like the fact that I am not limited to what rules I can create. Sending personalized messages. Also, implementing SMS into our communications. Our customer service rep has done his best to help us succeed with this product. Terrible interface, clumsy WYSIWYG, much too complex. Poor response from Technical Support. Handles all our consumer-facing email. Usability, flexibility, programs are the highlights for me. Flexibility, speed, platform reliability and ability to execute complex personalizations. We are working on all of it! We are using for marketing and understanding they type of information that our customers and prospects find valuable. It is not user friendilly, demands a few tecnical skills wich implies in barriers to teams among comapnies. Marketing Automation starategy. Responsys have been vary usefull to data analysis. I like that we can use Responsys to integrate with our consumers in real time when we are evaluating participation and registration conversions. It seems like the clients who actually use responsys on their end aren't very educated on the product at all which makes it difficult for us. It helps us with analytics and tracking the success of a campaign. We are able to integrate whether it be looking at reviews posted on a microsite or managing member gated promotions where a consumers has to become a member or rewards member per say to join a promotion. "Thinking about Responsys for email? Don't do it!" We thought Responsys was top of the line. There are some nice features, but nothing that most competitor's don't have. There are an unacceptable amount of bugs and customer service issues. Having worked with many ESPs in the past, I would recommend Listrak, then Silverpop. (I have absolutely no dog in this fight). We wait months upon months for BUGS to be fixed. I'm talking about things like not tracking opens! There are constantly bugs in the system, but it is not because they are taking extra time to QA. In fact, they launched a new release this weekend that completely shut down all our campaigns and we received no notifications or heads-up, though we have all notifications set up. As another example, in both the sales demo and in our first onboarding demo were were shown the ability to process files hourly instead of only daily. This was a requirement of the project. A week before go-live, the feature magically disappeared. We immediately brought it to their attention and are STILL waiting (four months later) for the approval of of our account manager's manager to enable it again. As other reviewers have noted, they have this ridiculous link tracking setup. It makes everything really complicated, especially since there is a known bug that converts & in your URLs to & every time you open the campaign. (Your URL tracking will not work and your link tracking within Responsys will also not work, unless you manually correct this every single time). I have put in several support tickets asking for when this will be fixed, and they just close out the ticket saying this is a known bug. It has been over five months. Lastly, we paid a large sum of money for onboarding support. In fact, it was required. None of the training or support helped us actually setup our account. We would have 3 people on weekly calls, but 0 people would ever be able to answer any questions or even get us any answers. We used trial and error and an excruciating amount of our time to get things going. Obviously, we use this for our internal email programs and campaigns. We also pull customer data from Responsys for offline campaigns. "Pros and Cons of Oracle Responsys"
I like the ability to import data out our users and use that in both dynamic content and triggered programs. I dislike how hard it is to find information when I want to know how to do something, there is not enough documentation or how to's from Oracle for this product. Customer activation, engagement and retention. We can target messages based on our users interests to keep them engaged and we can target based on actions to help guide on how to use our product. I send emails every day. I try to reach my costumers that way. "Great B2C marketing automation solution"
Robust platform able to deploy large number of emails in a short period of time. Program builder is a great tool that allows us to create smart, highly targeted programs to our customers and prospects. Application is not overly user friendly, takes a fair amount of tech expertise to use. Reporting capabilities out of the box are lacking. Take advantage of Responsys professional services. "An excellent solution for B2C email marketing." The support from Oracle is great. Campaign reporting is another feature that I love about it. Sometimes the campaign previews take ages to load. There is limited possibility to track older campaign data. Responsys is a complete solution for email marketing and is easily one of the top providers in the markets at the moment. Responsys covers our B2C email marketing. It helped us optimize the global email marketing campaigns in a big way. How terrible the UI/UX is. It's so long to do a simple process such as create a link table. There must be better solutions out there. Sending automated, transaction and promotional emails. The simplicity use of my company's big data. The product is very expensive when it is not managed properly. The number of different features and the functionality that Responsys provides for our marketing and transactional email campaigns. Because of the complexity of Responsys, it frequently has long load times. Responsys is a very robust, feature rich program with many capabilities. Gives very in depth reporting. May be a little hard to read and use for most. Being so robust there is so much to learn and utilize. Responsys provides a lot of custom options. Not everything is turnkey like other platforms but that allows more flexibility. It's not super intuitive but eventually makes sense after you're working in there for awhile. "Enterprise platform with all of the tools for the Email Marketer"
The Interact platform allows me to control my email marketing program without having to rely on my Engineering resources. Resources are always at a premium so being able to do advanced campaigns with plug and play tools has been great. Link tables. Having to create link tables separate from the uploaded email creative is time consuming. Responsys is a robust email solution for sophisticated email marketing programs. If you are looking for a solution that is a more streamlined WYSIWYG platform...this is likely not the platform for you. Marketing automation. Through the Program functionality in Interact we are able to build automation into our programs without the need for extensive IT resources. We can develop and control the creative and testing process without being limited by a reliance on other groups within the organization. "Great Platform for Tech-Savvy Marketers"
The program design robust-ness and flexibility, along with the advanced options for pulling in data from key sources (website behavior, purchase data, CRM data, etc.) into the relational database, and both easy-to-use basic targeting/segmentation as well as SQL capabilities for the advanced marketers. It's not the most intuitive or visually appealing UI. Some of the most basic things I would think the tool has, it doesn't, for example: automatic link tracking (you have to set it up on your own manually), automatic "view this email online" web versions of emails (you have to create it on your own), doesn't track % of mobile openers/clickers, and the campaign assets are dispersed throughout the UI. If you have a tech savvy marketer, it'll all be fine with some training though. Figure out first what your top priorities are and what's most important, then evaluate the "how" it gets accomplished with Responsys vs. another. Most ESPs are getting to a point of being able to do the same things, it's just how complicated or resource-heavy is it to get what you want. Being able to do greater targeting and personalization based on web browsing behavior, purchases, products registered, CRM data, etc. We've seen a lift in opens, clicks, and revenue when we personalize. "Love Responsys, So/so on Oracle"
"Provides capability to take your lifecycle marketing programs to a higher level"
Technical Flexibility and control over database structure - the ability for the client to be able to customize and easily create complicated lifecycle marketing programs once the database is set up. This system can be used by beginners but to really benefit from the power of responsys users need to be advanced in their strategic and technical skill set. There isn't an easy way to be move from beginner to advanced - advanced training and complete documentation could be improved. It is the only ESP that allows your marketing programs to reach sophisticated levels without extensive customization by the ESP. But, this requires that your staff is technologically saavy and have the resources to build these marketing programs and data integrations. "Powerful tool if you have the IT support to fully implement"
Responsys provides a ton of features for dynamic and advanced automation. It also offers a robust reporting suite. The UI is the most unintuitive platform I've ever worked in. There is little to no information on how to use the product without paying for additional training. The help files are useless. I've had 3 account reps in a year; one was helpful, the other 2 contributed very little. Because data from our website and purchase information are stored outside of the main database in supplemental tables, you can't create lists or campaigns based on it without knowing SQL. In other words, if I wanted to send an email campaign to everyone who purchased X product this year, I would not be able to do this myself within the filter building tool, and would need a developer to create this query in SQL. On the whole the support team is very difficult to deal with, although there have been a couple of very people who I've spoken with. Do your research. Responsys can be a very powerful tool, but it's likely that you'll need substantial technical support to implement many of the advanced features. "Fast onboarding and immediate positive changes, looking forward to the future with Responsys." The main appeal was the self-service model and cross-channel approach. Our team was interested in owning marketing campaigns and having instant reporting to optimize our email strategy. We are excited to have cross-channel functionality at our disposal and look forward to mixing that into our campaigns. Because of internal data issues, we aren't immediately able to move forward implementing as many automated programs that we would like. We find ourselves using Responsys as a medium to send more manual lists which doesn't exactly adhere to the hands-off, orchestrated platform that Responsys projects. To integrate the variety of complex campaigns that the company talks about is a lengthy process which we hope to get to soon. Responsys definitely fulfills on cutting edge technology and has a great customer success team to understand your business model and strategize with your team to create the highest quality campaigns to fit company needs. We are trying to play with different personalization options and localized/relevant communications are extremely important to our business model. Additionally, with Responsys, we have greater control of our data which allows us to think of automated email campaigns that allow us to send and wait for results. We are able to capture different audiences and deliver relevant, timely messaging. We have seen benefits with the display channel which has been an interesting and rewarding venue to connect with members, something we had never capitalized on before. "Customer Success is the name of their game!" Responsys is focused on their cusotmer's success...period. Each Responsys team member, assigned to your account, is measured on the KPI's that you set and in my experience this has increased the level of ownership from each person who touches our account. It's also encouraged proactive engagement to help grow and optimize our book of business. Finally, Responsys has amazing services with industry leading experts (Strategy, Creative, and Tech) to help you reach your goals. Responsys really listens to their customer's needs and formulates updates and releases around these. My "wish for" is increased data integration within the tool so as to take an "unlimited data" approach - nearly impossible, but it's a wish. Their data integration is good, and I know that this is a priority in 2014. If you're looking for an email providers, definately put Responsys in the running. Consider all your options and do your research to find what fit's YOUR needs - they're a top pick in my book as well as Forrester's!! "I've used v5 (2+ years) and v6 (<1 year) for campaign execution and analysis"
The software is definitely powerful - we're using Program to send triggered campaigns, have automated data flows between our back-end and their system, and are starting to explore the new Reporting functionality. In general I've found Technical Support to be top-notch. I find the v6 UI unintuitive, although that could be because I am accustomed to v5, and some things would really benefit from having two windows open at once, which v6 doesn't allow. The system for seed and proof launches is unnecessarily complicated. Responsys definitely feels like a system that rewards an investment of time and energy. If you're just trying to send the occasional drip message or can't dedicate a resource to managing the platform, I'd counsel caution. I also agree with another review that a relatively technically-minded person will have more luck than a pure marketer. "Powerful Cross Channel Marketing Tool"
Responsys allows you to leverage customer data to create complex campaign segmentation and build robust lifecycle programs. The ability to coordinate Email and SMS campaigns and optimize customer touch points is easy to set up and gives us more power over how and when we communicate with our customers. They have lengthy maintenance windows about once a month. Due to the way our system is set up we are unable to send emails during this time period. Even though it costs more than some competitors it's worth the investment if you have robust data and really want to take your marketing efforts to the next level. * We monitor all Oracle Responsys reviews to prevent fraudulent reviews and keep review quality high. We do not post reviews by company employees or direct competitors. Validated reviews require the user to submit a screenshot of the product containing their user ID, in order to verify a user is an actual user of the product. Hi there! 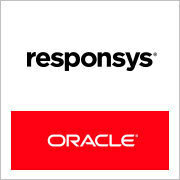 Are you looking to implement a solution like Oracle Responsys?